Getting into an elevator is the type of gamble that most of us don’t really consider. After all, the house usually wins when it comes to not having an elevator fail. 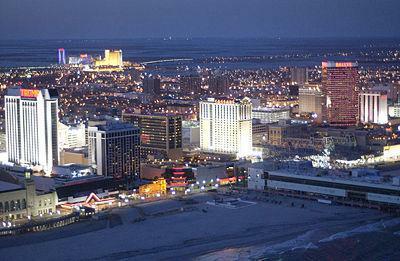 For the Revel Resort in Atlantic City, however, the unlikely happened. Then it happened again. Firefighters responded to two different incidents of malfunctioning elevators, in two different places, only about an hour apart. The first rescue of 22 people was no simple operation. Fireman had to cut the electricity and lower a 35-foot latter into the shaft just in order to reach the elevator. Then, four fireman in harnesses had to oversee the removal of the occupants one-by-one from the metal-caged predicament. An hour later, 28 more people got stuck in another elevator, and were subsequently removed without incident. The cause of the malfunctions is still unknown. “Common sense would tell me they were overloaded. …If I had to guess, that seems logical, but it could have been something else, something with the power or the connections,” stated Chief Dennis Brooks. Talk about a bonus round gone wrong.